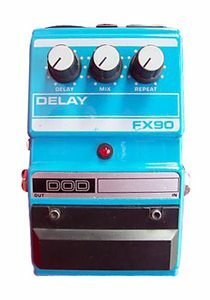 The very first delay I owned was the first of the series FX90. 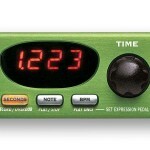 I loved that thing until I seduced by the perfectly clean sounds of digital delays. Then I couldn’t get rid of this thing fast enough and replace it with a fancy rack unit. Not long after that I kicked myself because I missed some of the character an analogue delay brings to the table. Recently I tracked one of these guys down for a fair price (under $100) and added it to my arsenal.